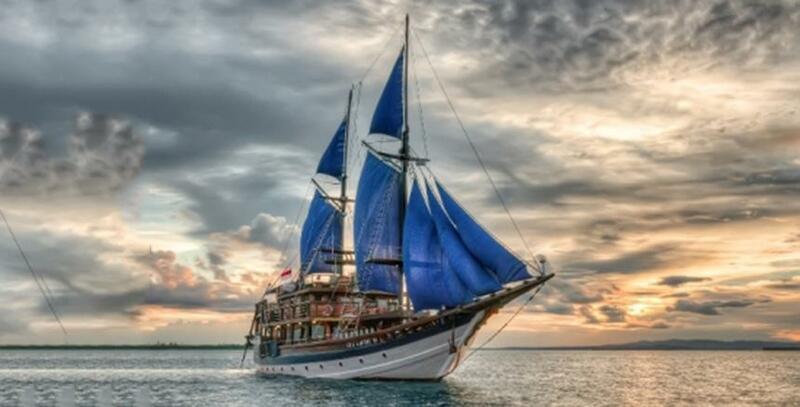 Sailing around some of the best dive sites in the world, KLM Sea Safari VI offers its guests affordable luxury Indonesia liveaboard diving cruises. 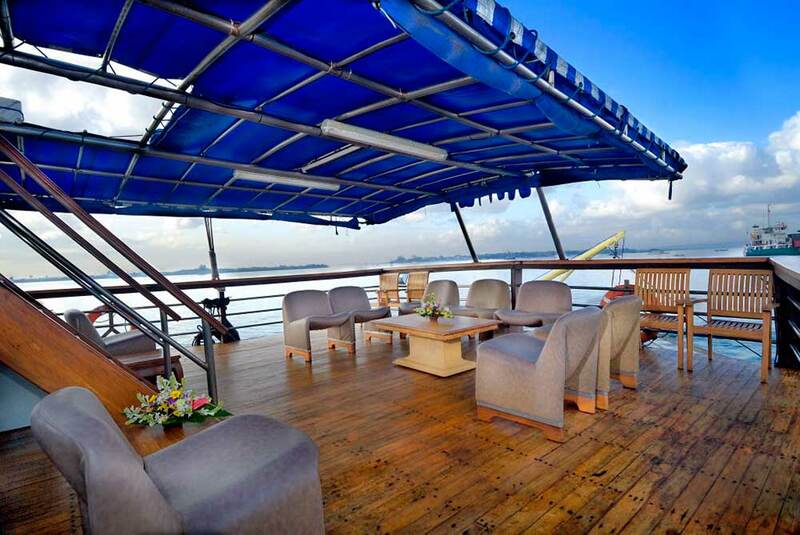 Depending on the month, Sea Safari VI takes divers to Raja Ampat, Lembeh Borneo or The Banda Sea 7D/6N cruises, but there are some longer and shorter trips available, too. Although the boat has classic looks, it is actually quite new. 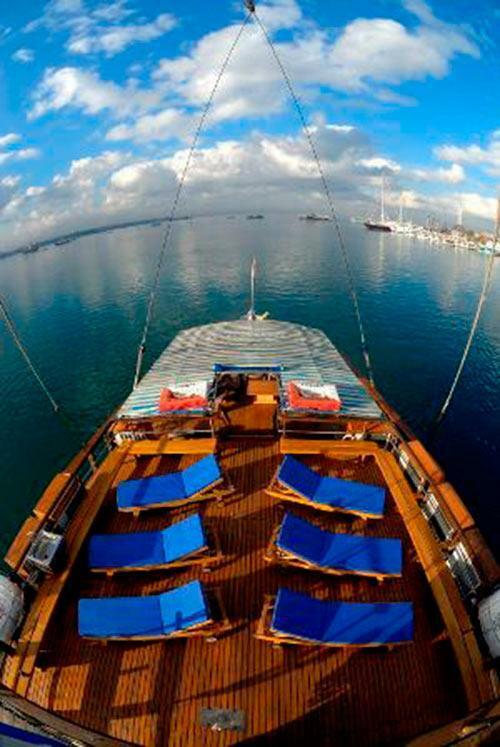 Built using Ulin wood in 2000, this Phinisi Schooner is 35m in length and 9.5m wide. Guests can enjoy modern luxuries which they come to expect on a diving cruise, but still have the atmosphere and feeling of a traditional yacht. There are two motorized tender dinghies to send & retrieve divers, and to transfer guests to the remote tropical beaches. 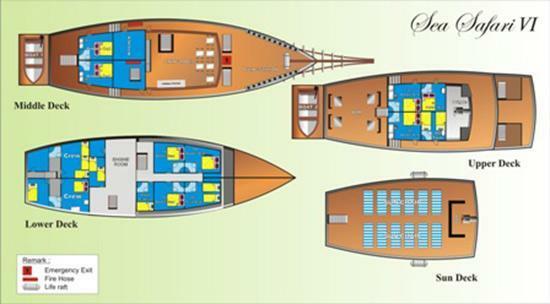 There are four decks on Sea Safari VI, three of which are air-conditioned. The top deck is for sun worshippers, and those who want to enjoy the sea breeze while looking out for marine life, such as jumping dolphins. 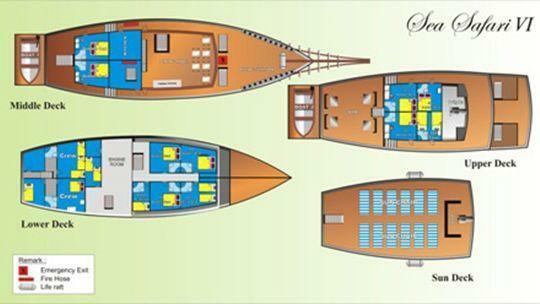 The upper deck has four cabins - two twin & two double. 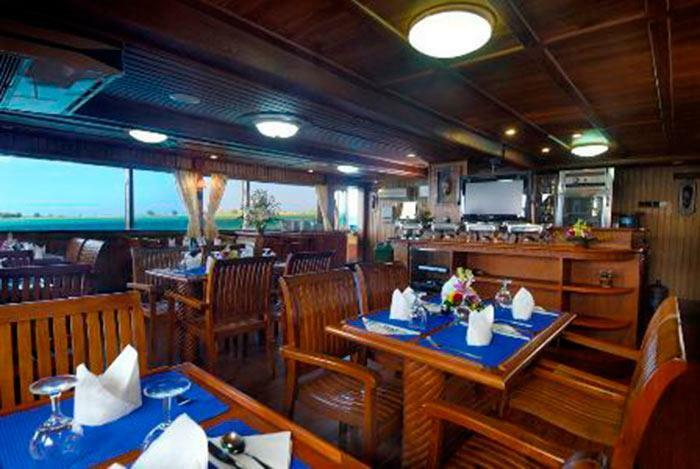 This is also where the shaded outdoor bar/lounge is located, which is the most popular communal area on the boat. 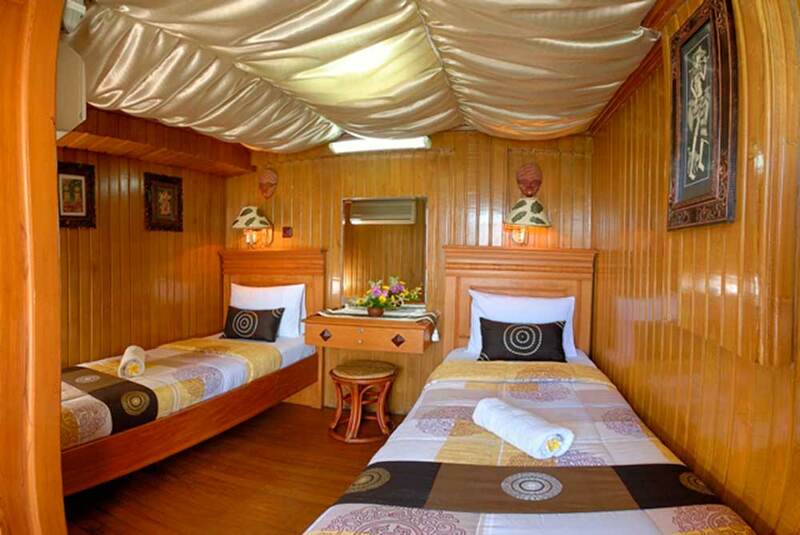 The middle deck is home to the air-conditioned lounge and dining area, the kitchen/galley, and two double-bed cabins. Lower down, there are four more guest cabins – twin & double. 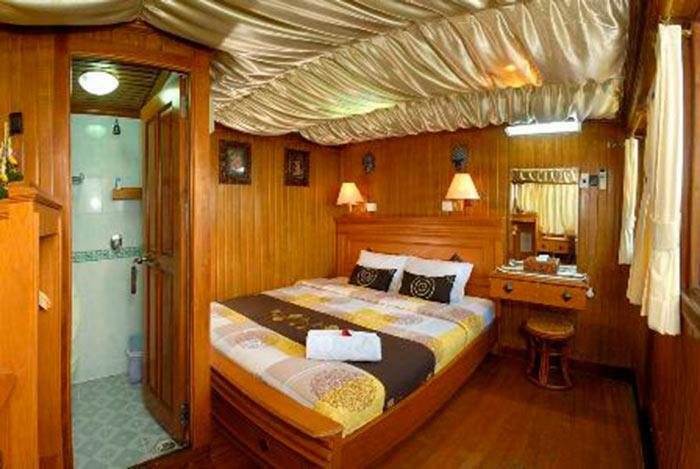 All cabins on Sea Safari VI are air conditioned and have private en suite bathrooms. Comfort and convenience come from the professional and friendly service in beautifully-appointed surroundings. Cabins are well equipped and in communal areas there’s space to move around, socialize or find some privacy. Safety is guaranteed by the professional crew and safety features, including navigation, communication, auxiliary motors, tender dinghies, and life vests. Sea Safari VI has several itineraries, and we list the most common below this text. if there is a trip on the schedule that you don't see the itinerary for, please contact us for details. Most trips are 7 days & 6 nights. For longer trips, just add 3-4 dives per day. These longer trips stay at the better dive sites for longer and/or cruise further out to sea to visit more remote locations. In most cases, there are 1-2 dives on the first day. This number depends on what time the final guests board the boat. There are usually 4 dives per full diving day, and island visits & treks whenever possible. These excursions are to spot wildlife, climb to a viewpoint and explore the local culture & villages. On the final full day on board Sea Safari VI there are usuall two dives in the morning, allowing guests to fly son after disembarkation, which is after breakfast on the final day of the cruise. Navigation: Radar, Echo Sounder, GPS Navigator (Satellite), Radio SSB, Radio VHF, Compass. Spending up to a week on board a yacht surrounded by other divers, diving professionals and crystal-clear tropical waters is an ideal opportunity to increase your diving certification level, skills & experience as a scuba diver. Prices are lower than doing the same course based on land and going out on diving day trips. Please contact us for the latest information regarding a scuba diving course on Sea Safari VI. The most commonly-taught courses are EAN Nitrox and Advanced Open Water, but with enough advance notice, almost anything is possible. In most cases, Sea Safari VI guests are collected from local hotels, resorts and the nearest airport on the day of departure, and transferred to the boat for free. This service also applies to transfers back to hotels or the airport at the end of the cruise.